to join any of our events or activities. at 12.15 - 12.45. All welcome. Fort William: Duncansburgh MacIntosh Parish Church is a congregation of the Church of Scotland within the Presbytery of Lochaber. 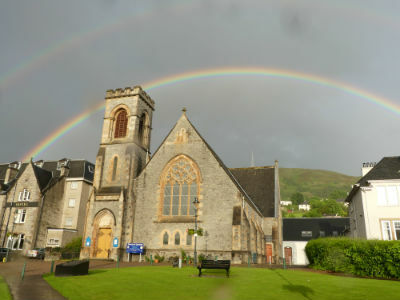 The congregation derived its name following the union in 2007 of the two Fort William Church of Scotland Congregations—Duncansburgh and MacIntosh Memorial. Click here for more information on the history of these congregations. We are situated on the Parade, a grassy area in the centre of Fort William. To find us click here. Our postcode is PH33 6BA. Our Sunday morning service is at 11.30am. (An earlier service at 9.30a.m. 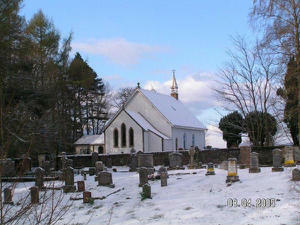 takes place in our linked congregation of Kilmonivaig, at Spean Bridge). The crèche, Junior church and Bible Class meet during the morning service and everyone is encouraged to stay behind after each service to share with each other over a cup of tea/coffee. In the evening there is a service at 6.30pm in the new church hall at the rear of the Church. We are happy to help members of the community in arranging wedding and funeral services. There is information on the wedding and funeral pages of this website and you can contact the minister on 01397 702297 or rbaxter@churchofscotland.org.uk . For our diary of events click here. We are an active congregation with a range of organisations. For details of them click here. Our congregation shares a ministry team with our linked congregation of Kilmonivaig in Spean Bridge. Services are held each Sunday at 9.30a.m. there. 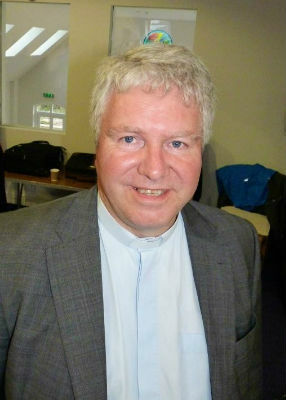 The Rev Richard Baxter is the Parish Minister. 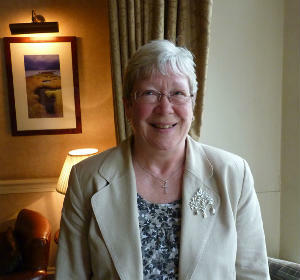 The Rev Morag Muirhead is our Ordained Local Minister. The Session Clerk is Mrs Mabel Wallace. Contact her by clicking here. 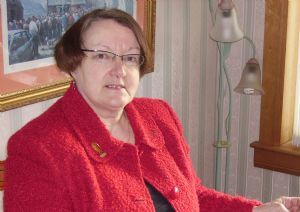 The Safeguarding Co-ordinator is Mrs Morag MacNeill.